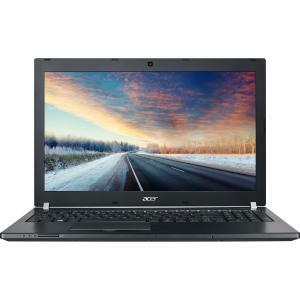 The ACER TRAVELMATE P658-M TMP658-M-58FV is another laptop PC comes equipped with the processing muscle of 6th generation Intel Core i5-6200U ultra low voltage SoC that features 3 MB level 3 cache and runs at the base clock speed of 2.3 GHz with Turbo Boost technology to speed up processing up to 2.8 GHz. It also features Hyper Threading Technology to process 4 threads at once.. It has an integrated graphics controller called Intel HD 520 GPU that offers 24 Execution Units clocked at up to 1050 MHz and capable of rendering High definition movies and playing less demanding games. This laptop PC is packed with 15.6” display with a screen resolution of 1366 x 768.The resolution of this laptop is not that high compared to other laptops, it is expected that the display of this laptop is not that sharp and clear compared to laptops with higher screen resolution. The display also features ComfyView and LED backlit technology. 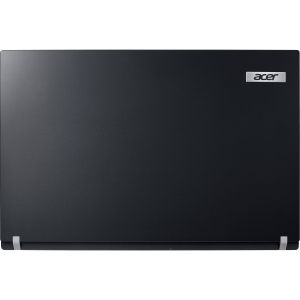 Under the hood, the ACER TRAVELMATE P658-M TMP658-M-58FV is equipped with specifications such as 8GB DDR4 SDRAM system memory to provide dependable performance for everyday computing and light multitasking; 256 GB solid state drive speeds up boot-up and load times; Accelerometer; Trusted Platform Module (TPM) Solution; Enhanced Acer DASP (Disk Anti-Shock Protection); Acer ProShield Security Manager Including:Facial Recognition Login, Data Protection: File Encryption & Decryption, Personal Secure Drive, Data Removal - File Shredder; backlit keyboard; fingerprint reader; webcam and a 3-cell lithium polymer battery to be able to use this laptop whenever you are away from the main source of electricity. Speaking of connectivity, this laptop comes packed with Integrated IEEE 802.11a/b/g/n/ac/ad wireless LAN standard; Gigabit Ethernet; Bluetooth; Type-C USB port; 3 USB 3.0 Ports; VGA and HDMI output port. This ACER TRAVELMATE P658-M TMP658-M-58FV is powered by Windows 10 operating system. This laptop has the following dimensions: 0.9 inch x 15 inches x 10 inches. You can get this laptop PC at the price of $1405. Other laptops in this price range include MSI WE62 7RI WE621862; LENOVO YOGA 900 - 80MK00CNUS CINNCINNATI BENGALS; and LENOVO YOGA 900 - 80MK00BYUS PHILADELPHIA EAGLES. Do you own this laptop computer. Please let us know your experiences with this device.